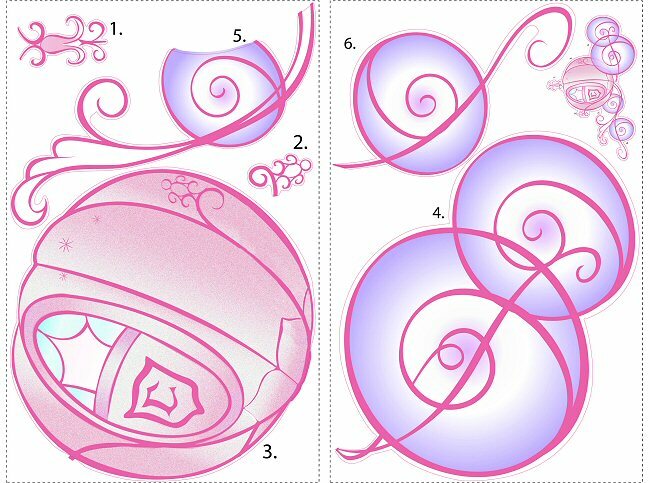 Add a humongous splash of Disney magic to the walls of your little princess' room with this amazing Disney Princess Carriage giant wall decal set. Featuring beautiful and sparkly glitter, your sweet princess will love dreaming of a night at the ball when you transform her room into an enchanted Disney wonderland with this easy-to-use RoomMates peel and stick Disney Princess Carriage mini mural set. 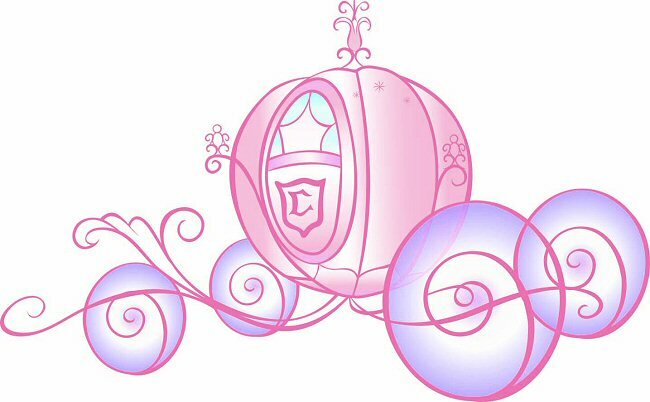 Accents include 7 white glittery dots and a smaller version of the Disney carriage. 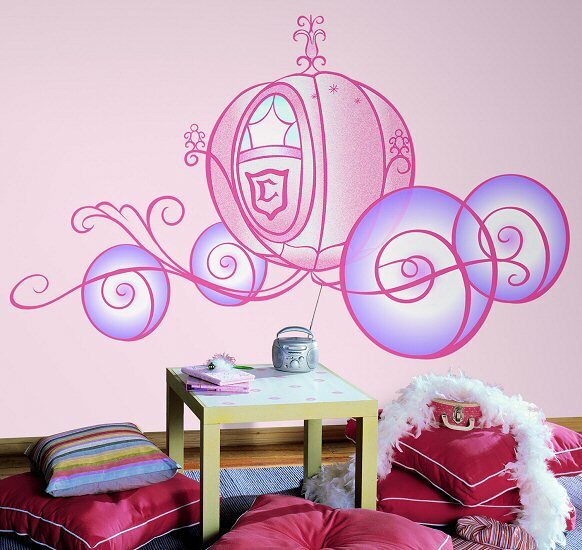 Our Disney Princess Carriage peel and stick giant wall decals (also known as peel and stick murals) are repositionable, removable, re-usable, and washable... the perfect combination for decorating the bedrooms and playrooms of kids. This RoomMates Disney Princess Carriage repositionable giant wall decals set offers decorating ease with no damage or residue to the surface.